Do you need high-visibility signage to alert people of an on-going construction site? Saber Sign Solutions fabricates the signage you need to keep your employees and others safe around the construction site! Construction signs can range from the high-visibility orange vinyl signs that alert you to ongoing construction, to the caution blasting zone signs you see in larger construction zones. A poorly crafted or low-visibility signage is as dangerous as the construction zone itself. 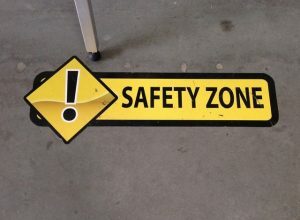 Saber Sign Solutions crafts the signage you need to ensure that everyone is informed of possible dangers, ultimately reducing the chances of an accident occurring. Call Saber Sign Solutions today at (512) 861-2699 for a Free Consultation with a Construction Sign Specialist! Saber Sign Solutions creates signs to alert and inform whether that is a mowing zone, building repair or construction, new development, or road repair. When it comes to keeping people safe, make sure that the signs you use are informative, impactful and eye-catching. 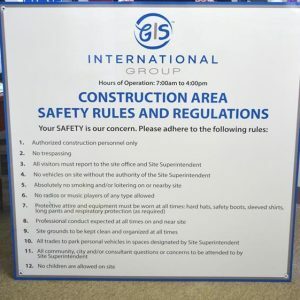 Saber Sign Solutions is your full-service construction sign provider, handling every aspect of safety sign design, production, and installation. 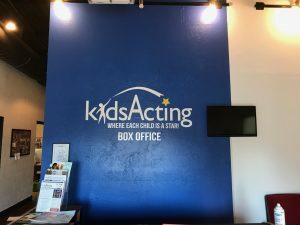 Our local sign and graphic experts will help you understand what signs can best be utilized to support your safety goals, and can help to ensure you are legally protected by providing sufficiently visible signage. Saber Sign Solutions can help you determine exactly what signs your construction business needs to keep employees and visitors safe and operations running smoothly. 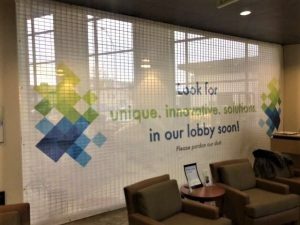 Whether you only need construction sign installation, production, or need help throughout the process, we are excited for the opportunity to create impactful, functional signage for you.